Officials are looking into whether the suspect in the attempted car bombing in New York over the weekend had financial help in putting the plot together. Faisal Shahzad is the only U.S. suspect identified in the attempted car bomb in Times Square last weekend. 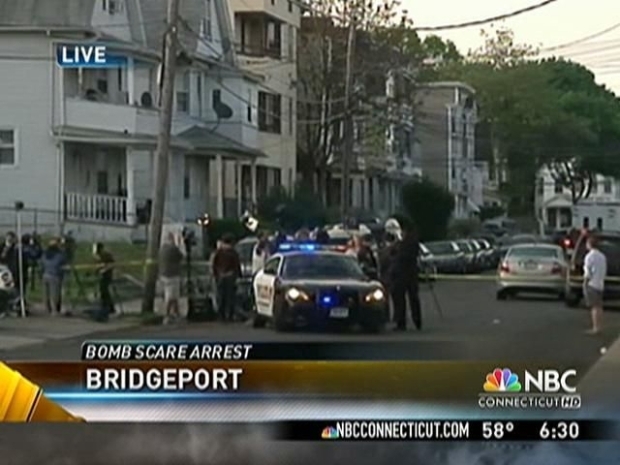 The 30-year-old ex-budget analyst who lived in Connecticut, was charged in the failed terrorist plot against New York and remains in custody on terrorism and weapons charges. Federal authorities are looking into whether foreign groups in Pakistan or elsewhere provided financing, officials told the Associated Press. One official, speaking on condition of anonymity because of the sensitivity of the investigation, has said one funding source under investigation is the Pakistani Taliban, which claimed responsibility for Saturday's botched bombing. In Pakistan on Thursday, security officials said U.S. law enforcement officers have joined them in questioning four alleged members of another militant group, Jaish-e-Mohammad, which has been linked to the 2002 killing of Wall Street Journal reporter Daniel Pearl, over possible links to Shahzad. The security officials also talked to the AP on condition of anonymity because they were not authorized to speak to the media. Pakistan's ambassador, Husain Haqqani, said Wednesday in Massachusetts that an investigation into Shahzad's links to Pakistan was inconclusive so far. "I think it's premature to start identifying groups and individuals with whom he might have trained," he said. Authorities investigating the failed attack have said that Shahzad made quick preparations to buy supplies for the homemade bomb, including the used SUV for which he shelled out 13 $100 bills a week earlier. Kelly said Wednesday that Shahzad bought a gun in March that was found in his Isuzu at Kennedy Airport, suggesting that he was moving ahead with the bombing plot shortly after returning from Pakistan. "It appears from some of his other activities that March is when he decided to put this plan in motion," Kelly told a Senate panel. "It may well have been an indicator of putting something catastrophic in motion." A relative in Pakistan said Wednesday that Shahzad had been talking about the problems of Muslim in Iraq and Afghanistan on his last visit to Pakistan, and that his sensibilities had changed over several years in the U.S. The man lived in Shelton and had an apartment in Bridgeport. "When he was here, he was not religious-minded. But he was when he came back from the United States," said Nasir Khan, a relative in the family's ancestral village of Mohib Banda in northwest Pakistan. Attorney General Eric Holder told a Senate hearing Thursday that Shahzad has continued to answer questions after being read his constitutional rights, rejecting criticism that reading Shahzad his Miranda rights hindered investigators. "There is simply no higher priority than disrupting the potential attacks and bringing those who plot them to justice," Holder said. Police Commissioner Raymond Kelly on Thursday said that the investigation was still in its beginnings, and that authorities were talking to Shahzad to determine if "what he's saying is in fact the truth." U.S. officials have said they are been unable to verify whether Shahzad trained to make bombs at a terrorist camp in Pakistan, which Shahzad told authorities he did, according to the federal complaint against him. Kevin Barry, a retired member of the New York Police Department's bomb squad, told the AP the design of the Times Square car bomb -- which included fertilizer and an improvised fireworks-and-powder detonator -- showed Shahzad had sufficient training to understand the basics of rigging an explosive device. But the bomb, which included fertilizer that was incapable of exploding, was a failure. "He was trained, but he certainly didn't graduate at the top of the class," said Barry. "He had the design and the idea."